Happy St. Patrick’s day! I hope your beer is cold, your hearth is warm, and your music is lively. YouTube CEO Susan Wojcicki was interviewed by WIRED Editor-in-Chief Nicholas Thompson at the SXSW Interactive Festival last week. She talked about fighting “fake news” and a new initiative that will link to Wikipedia on videos about popular conspiracy theories. Also touched on are the 10,000-strong human team that Google is building to review content, improving comments, and finding and promoting quality educational and news videos. You can listen to the presentation “Navigating the Video Revolution in the Digital Age” on the SXSW website or watch the video on YouTube. The Google+ iOS and Android mobile apps were updated to bring closer parity between the platforms. There aren’t any totally new features, but Android now has a white navigation bar, prioritized plus mention suggestions and the ability to “delete, report, and block” spammers or otherwise bad commenters. Google posted their review of how they removed “bad actors” from their advertising ecosystem - AdWords for advertisers and AdSense for publishers - in 2017. 320,000 policy-violating AdSense Publishers were removed from the ad network and they took down 3.2 billion policy-violating AdWords ads. Google also tried to fight “deceptive content” (AKA “fake news”) updated policies on “unregulated and speculative financial products” like cryptocurrencies. The ultimate goal is to improve user experience on the free ad-supported web. “Android Wear” is now Wear OS by Google, better reflecting the fact that one in three Android Wear watch owners also use an iPhone. Google released the 2017 Android Security Year in Review, which details how Google is working to secure Android devices and educate the public about security. Check it out to learn more about what Google has been doing to protect users from Potentially Harmful Apps (PHAs) and other potential security vulnerabilities. Plus there are tips and updates for YouTubers, Plussers, Bloggers, Advertisers, Business Owners and more. 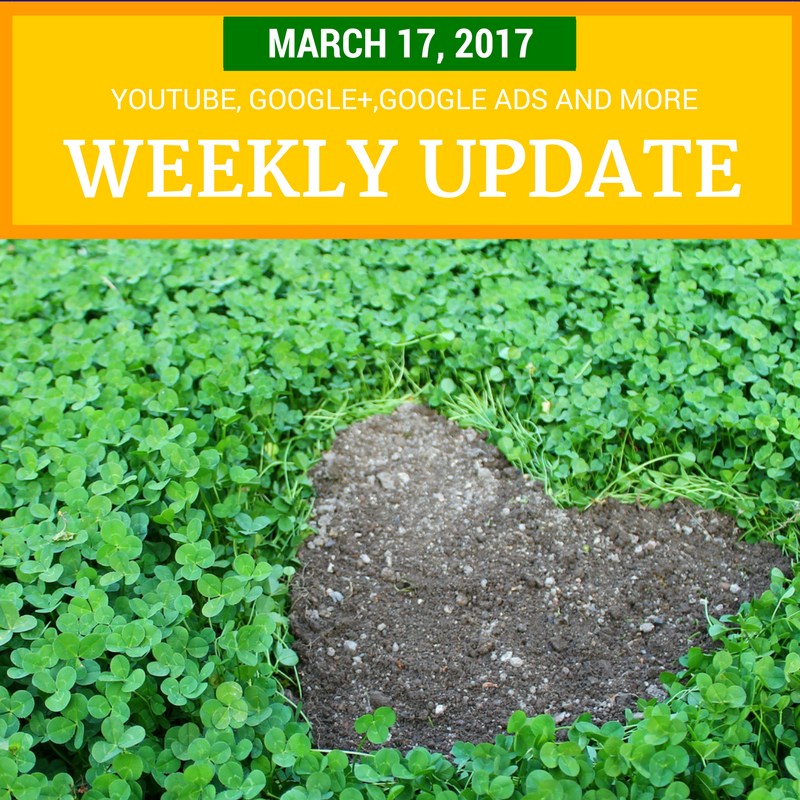 21 March: AdSense on Air: What’s new in 2018?